Mr. Sloutsker, a prominent Russian citizen, now resident in Israel, brought proceedings in England against Ms. Romanova for libel arising from defamatory publications in this country. Ms Romanova, also a Russian citizen, is resident in Russia. Service of English proceedings in Russia ordinarily has to be effected under the Hague Service Convention. 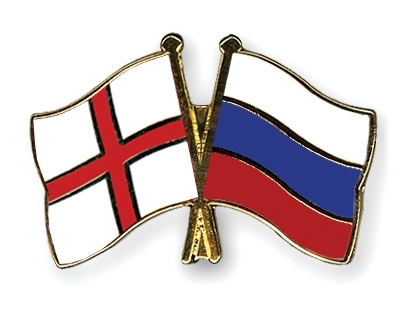 As Russia has opted out of allowing service by post under the Convention, service is effected by the often painfully slow process of the English Court sending a request for service to the Russian Ministry of Justice, which then sends the English proceedings to the relevant court in the area where the defendant officially resides. That court then summons the defendant to appear at a Service Hearing to take receipt of the English proceedings. In this case, the English proceedings were eventually provided to the Tagansky District Court to effect service. In accordance with usual practice Ms. Romanova was summoned to appear before the Court at a specific time and date by way of a telegram, which according to the Court official was handed to Ms. Romanova in person. Ms. Romanova failed to appear at the Service Hearing. The Russian Judge then certified that the English proceedings had not been served by reason of Ms. Romanova’s non appearance. The documents were then returned to the English Court via the Russian Ministry of Justice. Ms. Romanova sought a declaration from the English Court that she had not been validly served and denied that she had been summoned to the Russian Court. The English Judge held that she had in fact been summoned but then had to address the fact of the Russian Judge’s certificate that service had not been effected. The question was whether there had in fact been valid service under Russian law. Based on expert evidence as to Russian law served on behalf of Mr. Sloutsker, the Judge concluded that there was valid service. If the summons is delivered and received by the recipient he/she is deemed notified of the date and time of the Service Hearing, even if he/she refuses to accept the summons. Based on a Decree of the Federal Arbitrazh Court of the Urals District, if a recipient notified of a Service Hearing refuses to take receipt of the documents he/she is deemed served. Under the Russian Civil Procedure Code there is no difference between the situation in which the party appears at the Service Hearing and refuses to take the documents and one in which the party fails to appear at the hearing at all. While the Judge was troubled by the fact that the Russian Judge had certified that the defendant had not been served, he was satisfied that there was effective service under Russian law. As the Judge observed it would be a strange gap in Russian procedural law if it permitted a defendant to evade effective service simply by not turning up at the Service Hearing. This decision is plainly helpful to claimants seeking to serve defendants residing in Russia. Although the case concerned an individual defendant who resided in Russia, the same principles should apply to corporations domiciled in Russia. We understand that Ms. Romanova is seeking to appeal the decision and a further update will follow its outcome. For the moment, it is important to note that Ms. Romanova did not attend, and was not represented at, the English hearing. There was therefore no evidence before the English Court seeking to challenge the claimant’s expert evidence as to the correct position under Russian law. Even if Ms. Romanova’s appeal fails, it remains to be seen whether the Russian Courts would recognise the validity of an English judgment obtained in the circumstances described in the Sloutsker case if an attempt is made to enforce the judgment in Russia.